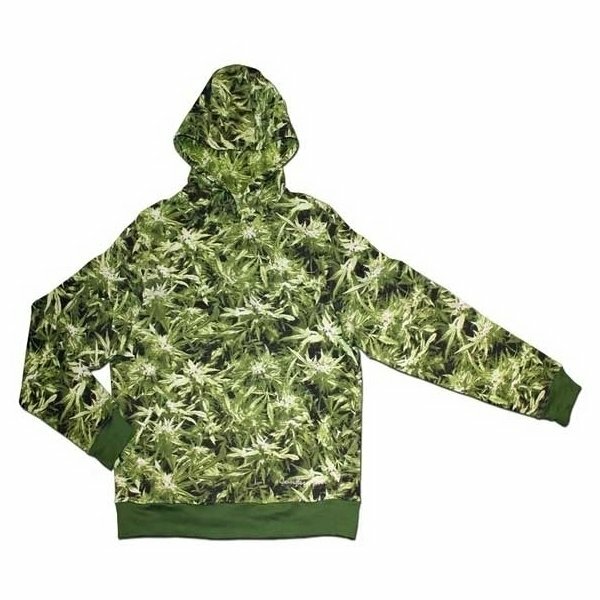 Hoody made of 100% cotton with hemp field imprint on front, back, sleeves, neck, hood, inside and embroidered Canouflage Gear logo just above the waistband, on the left side, only the waistband and cuffs are kept in green, dude! Canouflage Gear told us that their garments are favored by of "The Individuals" a hip-hop rapper posse from Chicago, USA. Available in M, L and XL.